Cyprus may be a 5 hour flight away and I was dubious about this distance at first, but it really did prove to be a wonderful destination for a long weekend soaking up the sun and winding down with the family. I was a little anxious about travelling off peak at first but was left reassured when I discovered that the weather at the end of November was in the early 20’s – a very welcome temperature in comparison to the cold, wet climates that London has been gracing us with. Columbia Beach Resort was our chosen destination. I knew from the minute I browsed the website that it would be a place of tranquility. But I didn’t quite realise how much so. Situated on Pissouri Bay, I can see why the resort has been recognised as luxurious, won numerous awards and earned 5 star status. 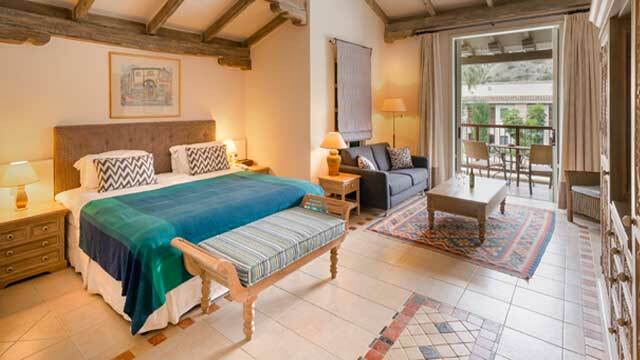 The property boasts 169 large and beautifully decorated suites with ample space for families. The backdrop was absolutely breathtaking. Upon arrival, we were greeted at the airport, driven to the hotel (only a 20 minute drive from Paphos airport) and arrived at the hotel shortly after sunset. Complimentary drinks were offered upon our arrival whilst the porters took our luggage to our room. Our suite was spacious with a king sized bed, a large seating area (which converted into a double bed for H), and study area. We were also kitted out with an array of amenities including a Nespresso machine, hairdryer, Molton Brown toiletries, and kitchenette. The bathroom was well proportioned with a big bath and two sinks. A large balcony offered a delightful view over the pool and bay. Complimentary touches included a bottle of wine, fruit platter and raw honey. This made us feel that little bit more special. H was left with a backpack surprise on her bed which was provided by The Den (kids club) to welcome her to the resort. Inside was a treasure map, a little explorer notepad, pencil and cap. Such a thoughtful gesture and something that made her squeal in delight. After unpacking and freshening up, we made our way down to Apollo Tavern for dinner. A traditional Cypriot dining experience with an abundance of choices for even the fussiest of eaters. We shared several dishes but my favourites were the Spinach Pie Rolls and Lamb Chops – cooked to perfection. Desert consisted of Ice cream – lemon sorbet, raspberry sorbet, mango sorbet with chunks of meringue and thyme honey sauce. So Yum! The atmosphere was lovely with live traditional Greek music being played in the background. Bursting at the seams from over indulging, fatigue hit us and we knew it was time for bed. Day 2. A super relaxing start – we slept well and woke late. We sat on our balcony admiring our view before heading to breakfast in Bacchus, situated on the lower ground floor. Whilst the resort seemed quiet, breakfast was buzzing with holidaymakers. Diners have the option to sit inside or on the terrace overlooking the pool. We chose the latter. The breakfast buffet consisted of an array of sweet and savoury delights; pancakes, pastries, toasts, eggs, cereal, waffles fresh fruit, porridge etc. H loved popping her toast in the toaster, maneuvering around the tables to fill her plate and then return in time for her toast to pop out. If any of the food displayed didn’t take our fancy, we were told we could also make an order. Nothing was too much trouble. After breakfast, we headed to the pool and got comfortable on some sun loungers. We were parked up here for the majority of the day enjoying the scenery. Absolute bliss. The infinity pool is a real show stopper – 80 metres long, lagoon style set amongst its natural surroundings. Columbia Beach also has another swimming pool located at The East Wing. In the afternoon, H was keen to check out The Den Kids Club – a collaboration with the well-known Worldwide Kids Company who provide childcare services for luxury resorts and hotels. (We have been fortunate enough to use their services in other hotels so we felt reassured before we signed her up). Upon arrival, we were given a timetable of the activities on offer for the week. The service is complimentary and offers the following sessions: 10:00am-1:00pm, 1:00pm-3:00pm and 3:00pm-6:00pm. Children have to be signed in and out for security reasons. The Den was filled with fun, engaging activities and had a reading corner, mini bowling alley, play kitchen, arts and crafts and fancy dress section. The Den takes two different age groups: 4 to 8 years and 9 to 12 years. 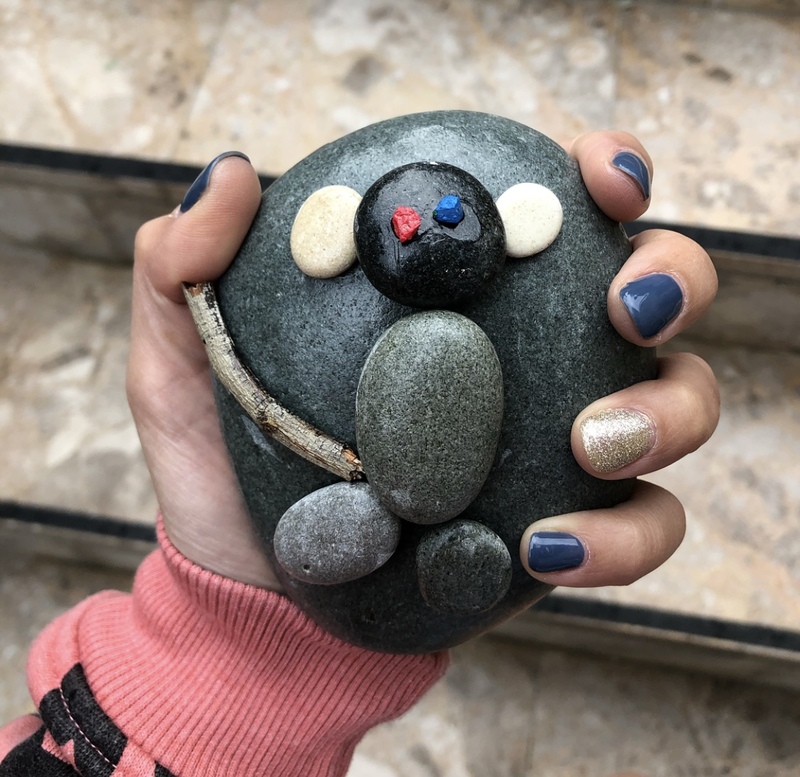 H went straight to the arts and crafts table and asked to decorate some rocks – she made the cutest little Santa and also a monkey door stopper, fond keepsakes that will always remind her of her stay. 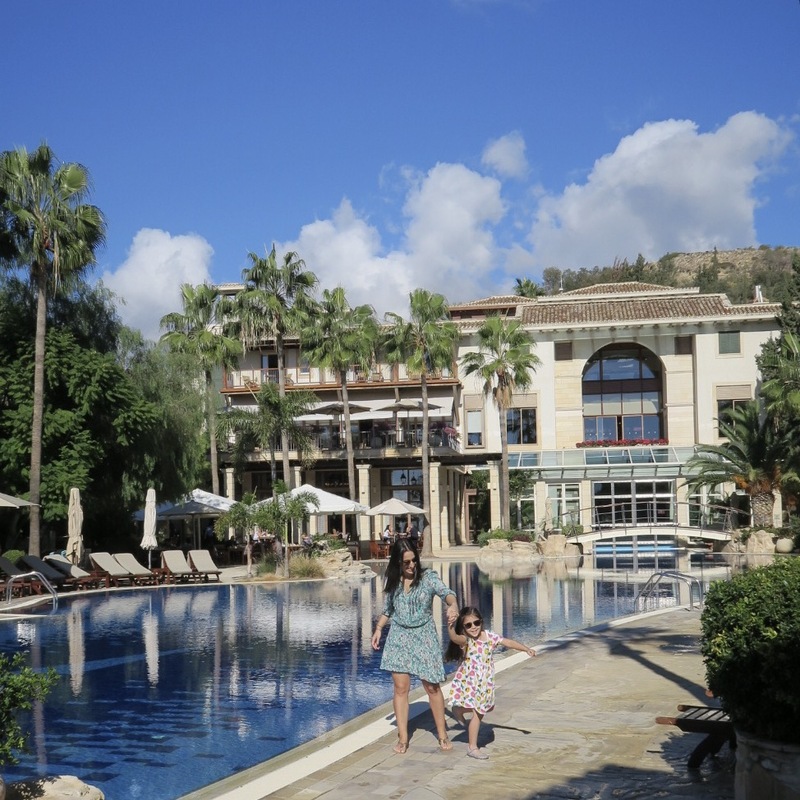 The resort also offers a crèche for children aged 4 months to 4 years (35 EUR per session). Whilst H was having a brilliant time at kid’s club, I checked into the Hebe Spa and had the best massage I’ve ever had in my life (so much so, I booked myself in for another two days later)! The spa offers a variety of treatments using world-renowned skincare brand, Elemis. It is also home to a Jacuzzi, steam room, sauna, squash courts, equipped gym, exercise room (with back to back classes), hair salon, nail salon and indoor pool that can be adjoined with the large infinity pool during warmer climates. Dinner that night was at Bacchus – the Italian gourmet restaurant with menu created by Michelin Star-trained Executive Chef, Ioannis Giakoumidis. This was my favourite restaurant on the resort and the truffle tagliatelle was sensational. The meal was accompanied with live music from a very talented duo. On day 3, we set out to re-live our experiences from the past 24 hours but decided to add in some exploring. H wanted to put her treasure map to the test and go on a little adventure. Surrounded by large gardens and protected by white cliffs, we discovered some swings close to the beach. We took some time to sit on these whilst admire the scenery around us. Soon after, we walked along the 2km-long beach, collecting stones and be-friending several cats to H’s delight. (The hotel have a dedicated ‘Cat Care’ project – to help protect those in the area). During Peak season there are a number of activities including watersports, sailing and scuba diving available to guests. The beach also offers sunbeds with shade. Whilst our trip was short, it was wonderful. Filled with plenty of rest, relaxtion, brilliant food of the highest quality and beautiful jaw dropping sunsets. The memories that will last a lifetime. My only regret was not staying longer but it does give us a good reason to return!! For more photos, head over to our IG page and click on our travel highlight reel. Columbia Beach Resort offers airport transfers (from Limassol and Paphos) with several tour operator packages as well as booking direct. Car seats can also be provided. 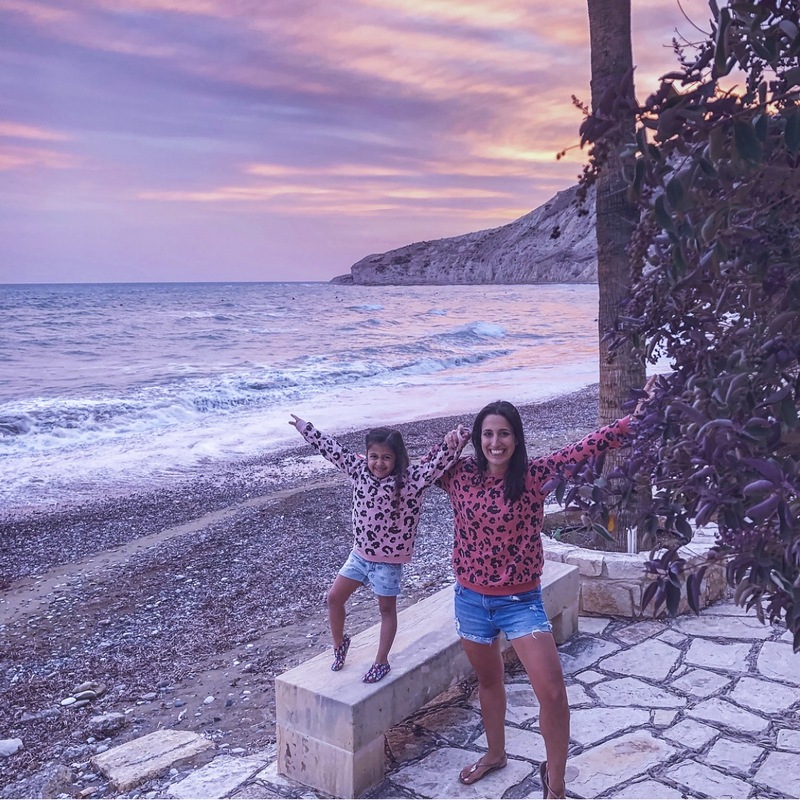 The resort is exceptionally family friendly and works tirelessly to offer parents with young children a stress-free holiday by allowing guests to pre-order baby items prior to arrival. Everything from toiletries, changing items and other accessories – spanning potties, sterilisers, bottle warmers, baby walkers, buggies and much more – can be provided in suite for arrival. A local supermarket and other amenities are close by. Babysitters can be pre-booked prior to arrival or whilst staying at the resort via Worldwide Kids. The charges are 15EUR per hour for up to 3 children and each babysitter holds a DBS check. The resort offers B&B, half board and full board allowances. They cater for all dietary requirements and menus clearly mark allergen information. They do advise that any severe allergies are noted during the reservation process so that staff and chef are aware prior to arrival. Children’s menus are provided in each restaurant and their allowances are charged at a 50% discount on adult rates. A large number of sports activities are available for people of all ages and abilities. These include, archery, table tennis, giant jenga, boules, greek and backgammon lessons, swimming, tennis, cookery, darts, baseball and sailing. The watersports centre also offers paragliding, waterskiings, windsurfing, kayaking, banana boat rides, ring rides and pedal boat hire. Columbia Beach Resort is dedicated to being environmentally friendly – more information on this can be found here. If you are interested in booking a holiday with Columbia Beach Resort, they currently have a number of offers on. *Disclaimer. Whilst we were invited to stay at Columbia Beach Resort, all views are our own.